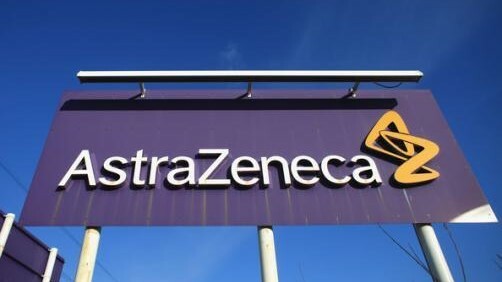 AstraZeneca and its biologics research arm MedImmune have signed a five-year strategic research collaboration with Ethris, an mRNA-based therapeutics company specialising in pulmonary disease. The collaboration is focused on developing new stabilised non-immunogenic modified RNA therapies for respiratory diseases using Ethris’ proprietary SNIM RNA technology. After spending a decade or more as a ‘next big thing’ in drug development, mRNA based drugs look set to finally hit the market in the next few years, led by mRNA specialists Alnylam, who expect to file their first product by the end of 2017. Alnylam is leading the field in developing RNA interfering therapeutics which can ‘silence’, specific genes and block production of disease-causing proteins, or restore the production of missing proteins. However respiratory diseases hasn’t been a lead target in mRNA until now. Based near Munich in Germany, Ethris has developed proprietary mRNA technology which targets the lungs and helps to replace, inhibit or augment proteins involved in respiratory disease. AstraZeneca is a major player in the respiratory field, but improvements in treatment have been incremental across the market in recent years. It has just submitted a new COPD treatment, Bevespi, but also suffered a setback with a failed phase 3 trial of its severe asthma candidate tralokinumab. The new alliance with Ethris won’t yield any new drugs to bolster AZ’s respiratory franchise in the short term, which is suffering from shrinking revenues. This is largely because its blockbuster Symbicort is facing growing generic competition in the US and Europe. Nevertheless, the Ethris alliance looks like a good long-term bet for the future of respiratory disease. The new drug platform from Ethris opens up the chance for the companies to discover and develop major advances for asthma, chronic obstructive pulmonary disease, and idiopathic pulmonary fibrosis. The deal will see Ethris receive a €25 million fee upfront, plus research funding, and it will be eligible for future research and development milestones, including sales-related royalties upon commercialisation. AstraZeneca and MedImmune will have the option to take exclusive worldwide licences upon completion of the research plan for each target within the collaboration. Noting the rapid advances in mRNA in recent years, Bahija Jallal, executive vice president, MedImmune said Ethris was a leader in RNA delivery to the lung. Based in the biotech hub of Martinsried just outside Munich, Ethris was set up by Dr. Carsten Rudolph and Prof. Christian Plank in 2009. Its lead candidate is ETH-OTCD, for Ornithine transcarbamylase deficiency, a rare urea cycle disorder caused by a single defective enzyme. One of the biggest obstacles for RNA therapeutics is that they can trigger a strong immune and inflammatory response, and Ethris says tweaks to its SNIM platform solves this problem. Studies in mice showed its lead candidate also showed a sustained production of target proteins. 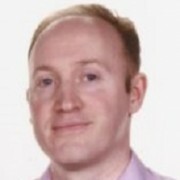 This isn’t the first mRNA alliance AstraZeneca has struck: it signed a broad $420m research deal with the high-flying Moderna in 2013, and followed this up with an oncology-focused agreement last year.